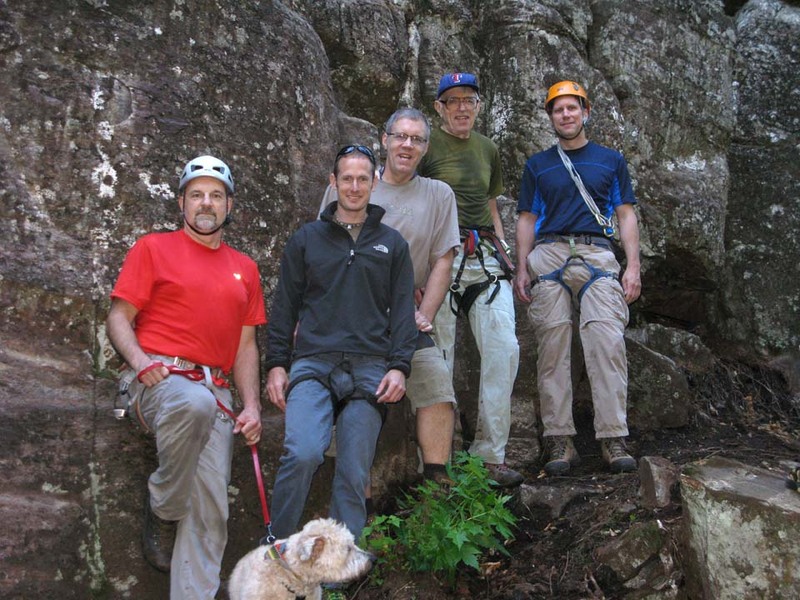 Arietta Climbing is a group of climbers working on cliffs in the southern Adirondacks. Started by Gary Thomann and Bill Griffith, they and a lot of volunteers developed Shanty Cliff, Lost T, The Annex, McMartin, Lost T2 and Pinnacle. They also added several routes to Lost Hunter. Several of these cliffs are in the town of Arietta, hence the name. In addition to Gary and Bill, the group presently consists of Keith and Hollie Matuszyk, Don and Deb Redmond, Rob Upton, Hal Carter and Matt McMorris. The Arietta Climbing group thinks it is more important to develop routes than to claim first ascents. Although first ascents are done on all the climbs, they are not always recorded, particularly when a number of people have helped clean the route. Or if the difficulty of the climb is well below the skill level of the first ascender there is also no assignment. So if one climber does most of the cleaning of a route, and the routes is 5.8 and that is about the top of her leading level, then the first ascent will be credited to her. The purpose of this is to try to have a group who all cooperate together developing the climbs without worrying about who will get the first ascent while at the same time occasionally giving a climber a recorded first ascent. Naming of the climbs is done in a similar manner through some cooperative process, involving suggestions, arguments and incidents that happen while the route is being worked on. We try to place bolts on our routes only where necessary. Stick clip bolts are sometimes used to get climbers safely through the start. Stick clipping also results in using the minimum number of bolts on climbs with hard to protect starts. 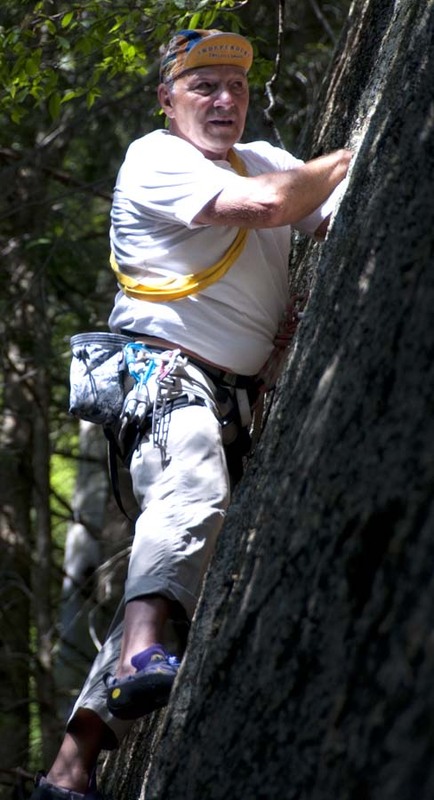 Another Arietta Climbing policy is to provide adequate protection throughout the route. So, if a climb is 5.8 we try to make it so a 5.8 leader will be reasonably comfortable trying to lead it. We are not saying that there can’t be an occasional 5.8 climb with long runouts, just that we are not making them. There are other factors that influence bolting; higher up on a route where there is no danger of hitting the ground protection can be more widely spaced. On a steep smooth face climb widely spaced protection is also appropriate. The great majority of our routes have clip in anchors at the top. Stainless steel hardware is used except for some half inch quick links that can be easily inspected. 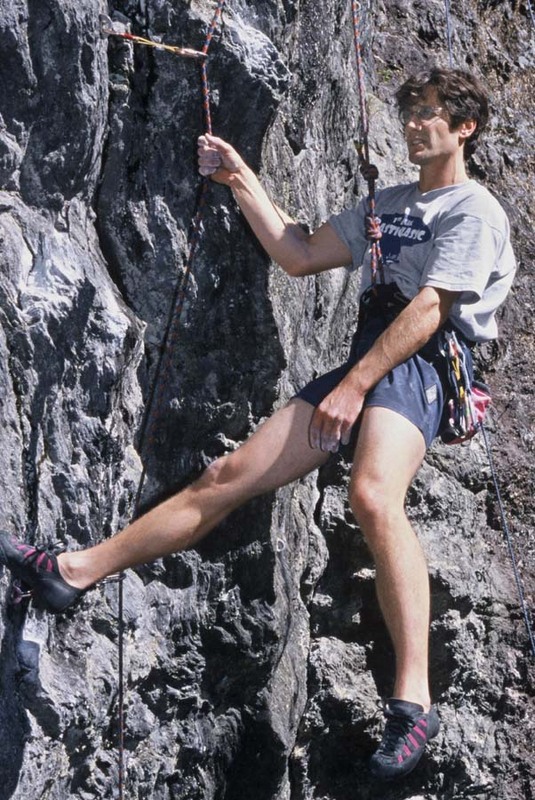 The Arietta Climbing policies do not always mesh well with the rest of the climbing community. There have been instances of people coming out and claiming first ascents on our cliffs while we are working on them. There has also been criticism of our bolting and some bolts have been chopped. 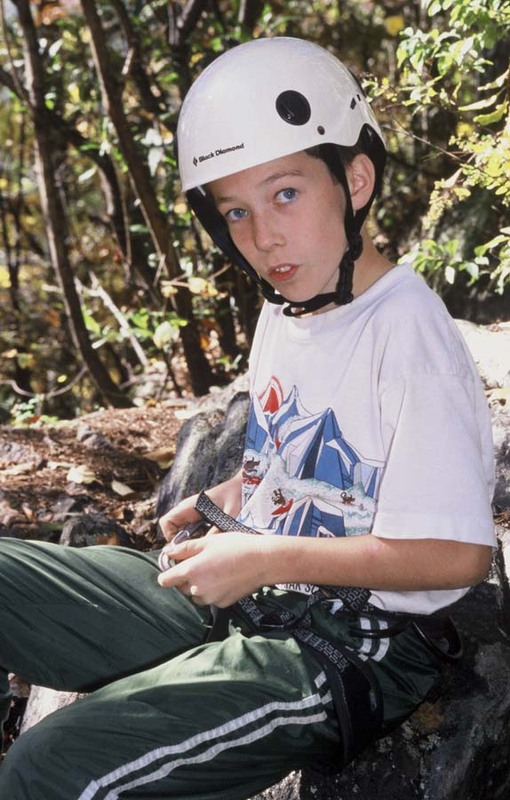 Some climbers think there is only one way to develop Adirondack cliffs. The only agency that has authority over the Adirondack Park is DEC and they have said nothing about how cliffs should be developed in the UMP’s (management plans) that cover the various areas in the park. So in fact there are no policies at all; if would be better if there were some. And of course we are not blameless. There have been bolting mistakes made on routes, and we have been fined by DEC both for cutting vegetation and storing hardware near the cliff. While we try to do things properly our judgment is not infallible. At the present time Arietta Climbing is not working on any cliffs. We have been working on our climbing skills and trying to bring in new climbers. We have tried to develop destinations where individuals and groups can go and have fun safely, assuming they follow good climbing procedures. Please go out and try our cliffs. There are guides to some of the cliffs on this website. In addition most of the cliffs are also described in the excellent guidebook by Lawyer and Haas.